A few months months ago the lavender started to bloom here in Pantelleria. Hills become suddenly covered with blue lavender flowers. Their scent is so pure and soothing. I couldn’t resist picking a lot of these adorable flowers and made lavender sugar. 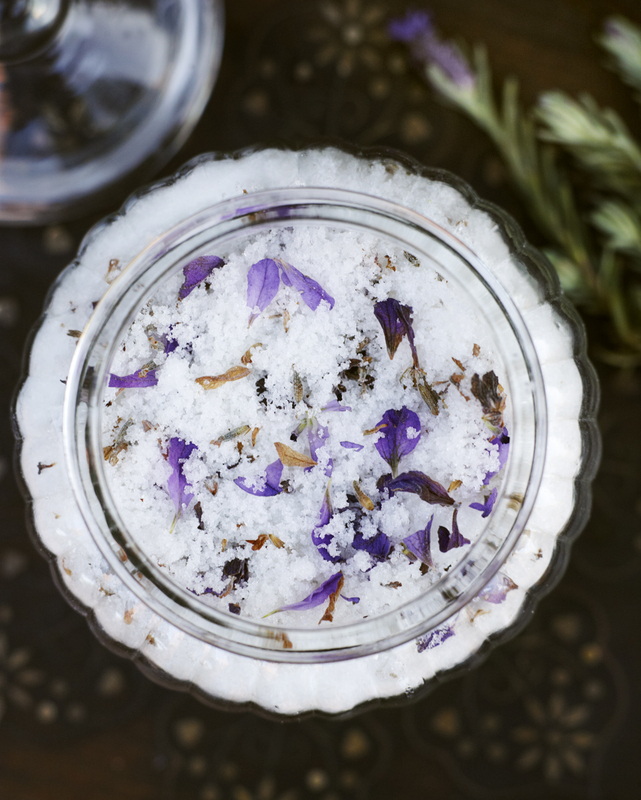 It’s really a simple thing- you just mix sugar and lavender flowers, they can be fresh or dried. 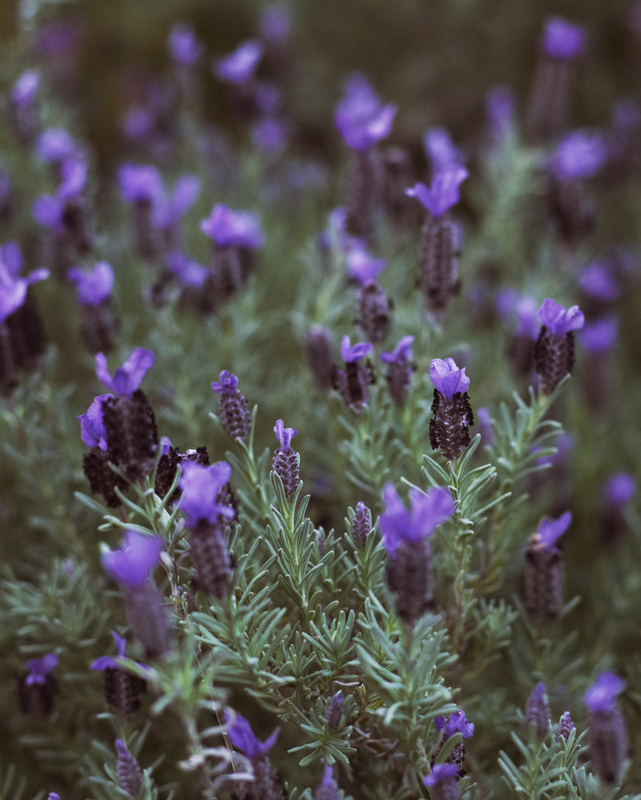 For every 3 1/2 ounces (100 gram) of sugar use 2 Tablespoons of lavender. Mix sugar and flowers and store in a large clean jar. Seal the jar and shake every couple of days, the sugar will be ready in a week. 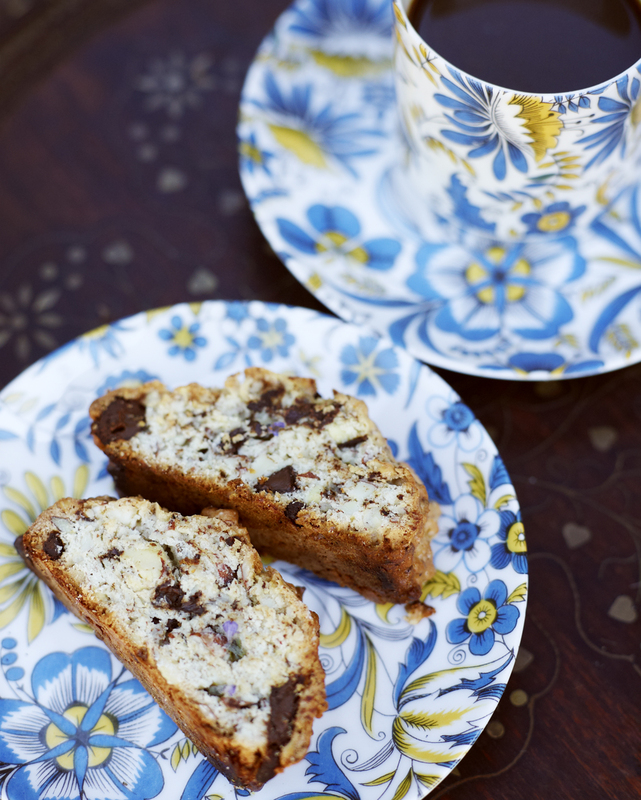 Mine has been waiting for months and this week I used some of it to make biscotti. Chop the almond roughly, mix with the lavender sugar, salt and the egg. Mix the baking powder with the flour and stir in half of this with the batter. Cut the chocolate bar in rough chunks and mix in, then add the rest of the flour. Divide the dough in two halves and roll each half of the dough into a long shape for about 10 inches long (25 cm) and 2 inches (5 cm) wide. Bake in the oven at 350 F (180 C) for a 15 -20 minutes on baking tray with baking paper. Cut the biscotti sideways and dry them in oven at 200 F (100 C) for about 60 minutes. Let them stay overnight for drying on the baking tray or other, before you put them in a can or a box. Its important that they have dried properly before storing. This entry was posted in Baked Goods Recipes and tagged almonds, Anna Huerta, biscotti, Chocolate, Lavender, Pantelleria, Sicily, Under the Almond Tree on May 21, 2013 by Anna Huerta.